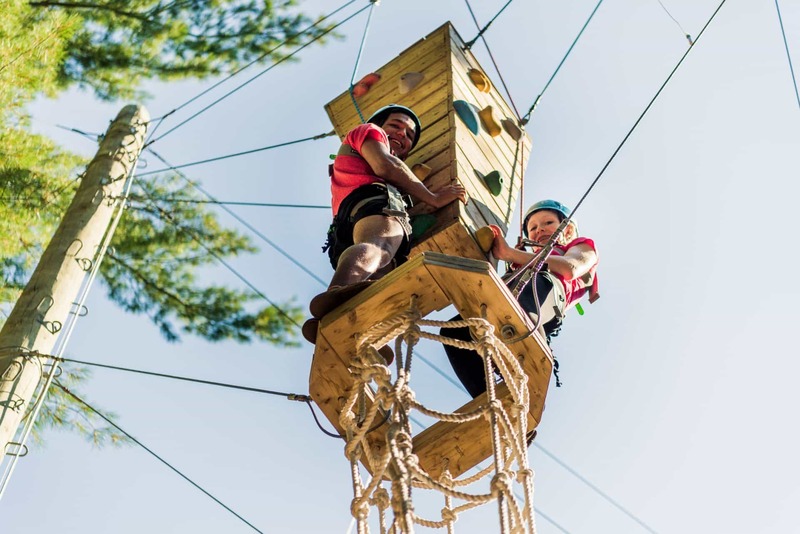 Pioneer Camp offers a wide range of fun and challenging activities for every season, and adheres to the safety standards set by the Ontario Camping Association and Christian Camping International/Canada. We have a wide variety of programming options to facilitate team building, skills development and ensure your group has a fun and challenging time while with us. Low Ropes Course: Students will learn to co-operate, communicate, and problem-solve on various low ropes elements. Canoeing: This is an introductory course designed for beginners, who will learn the parts of the canoe, basic strokes, and canoeing safety. 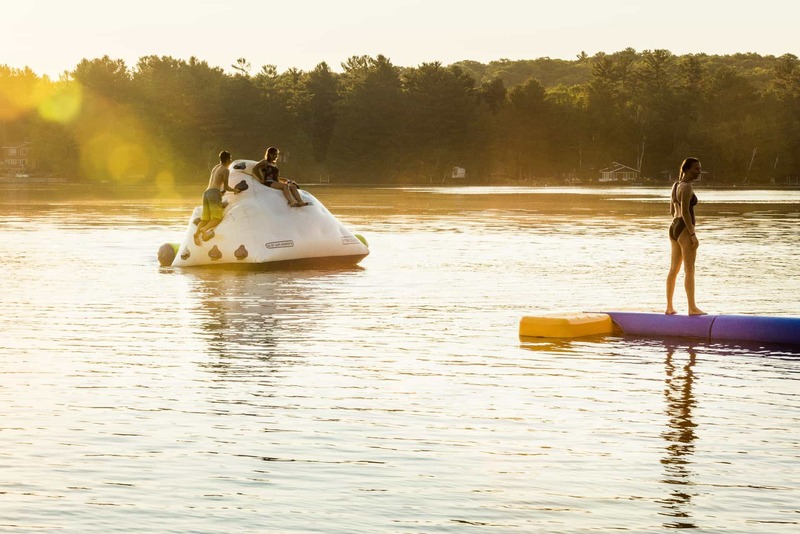 Guests will have lots of time to refine their skills on the lake. 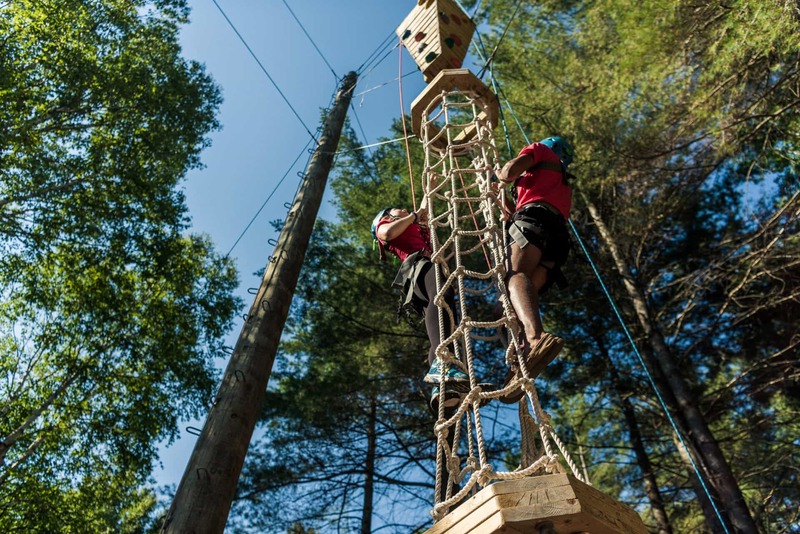 Challenge Course: The Challenge Course is an experiential learning course that develops team unity, communication and problem solving skills in all participants. Only through efficient team cooperation will success be achieved. Swimming: NLS -trained and certified lifeguards will be on hand while swimming. Our swimming area is sectioned off into deep and shallow areas, and includes a water-slide. This activity is subject to the availability of lifeguards. Cook-Out: Enjoy the unique experience of cooking over an open fire. 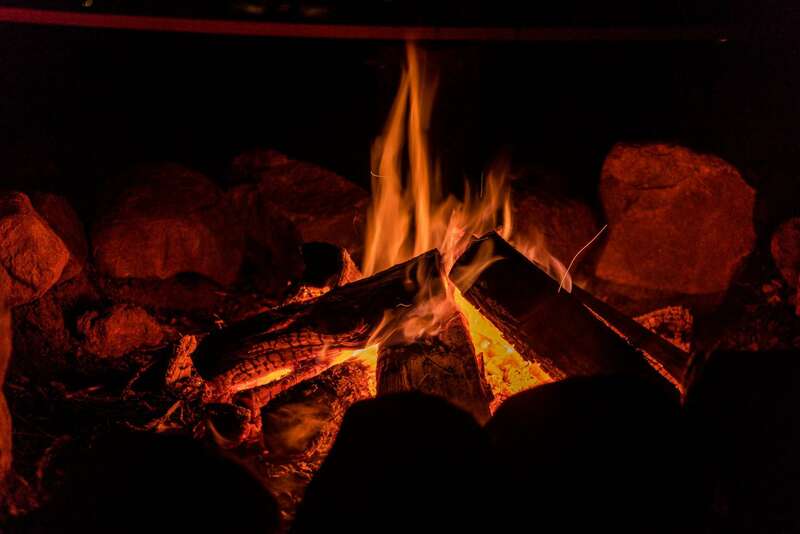 Participants will have the opportunity to personalize their meal from a selection of precooked food choices, packaged in tinfoil and cooked over an open fire, providing a re-connection to the ‘pre-oven’ days. This option requires 3 hours over lunch. Guided Hike: Our instructors make the hike as leisurely or challenging as you would like. This activity also provides an excellent opportunity to practice photography, creative writing or sketching skills. 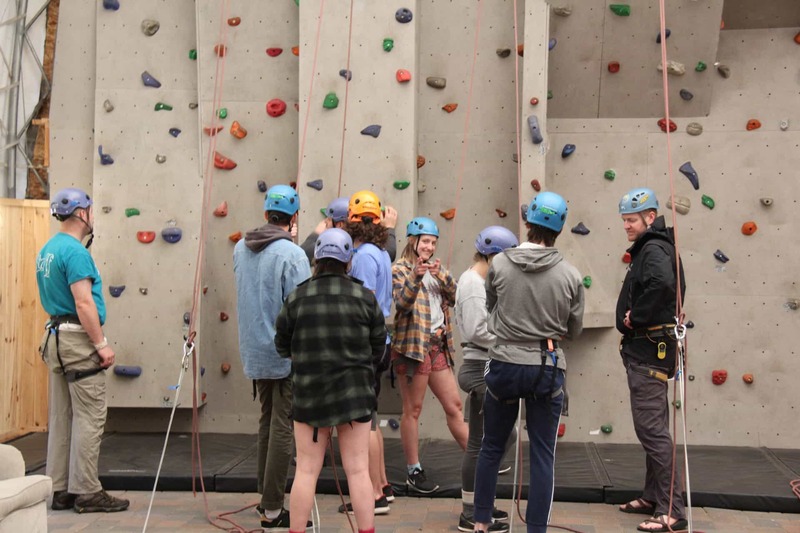 High Ropes: Our staff will guide the group through a variety of challenging activities 30 feet off the ground in a safe and supportive environment. Initiative Games: A small group is given a task. The group may have to verbally negotiate a blindfolded group-mate through a ‘mine field’ without being able to touch the blindfolded person, for example. To be successful, students must communicate, cooperate and take responsibility for themselves and each other. Kayaking: Students in kayaking will take part in an introductory course designed for beginners. The students will have most of the class time to refine their skills on the lake. Maple Syrup Production: See the progressive change of maple syrup manufacturing over the years. Starting with aboriginal methods, through pioneer methods and modern evaporators, try your hand at making maple syrup from scratch. (Available from mid-March through mid-April, weather permitting). 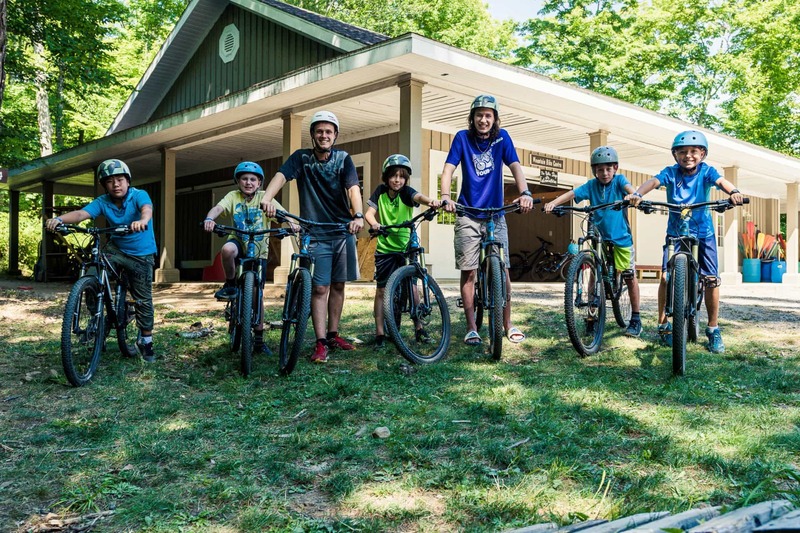 Mountain Biking: After being fitted for a bike and a helmet, instruction is given on the safe operation of a mountain bike before students head out on one of our several biking trails, ranging in difficulty. Orienteering: Whether your students are beginners or experts, we have newly redesigned orienteering courses to challenge all. We also offer both map reading (Level 1) and Compass (Level 2) programs to cater to all levels of skill. Wilderness Survival: From camp, a small group of survivors set out into the wilderness. Working together, they must construct a shelter, build a fire, and boil water for a hot drink. Wetland Discovery: Take part in an interpretive and interactive walk through three different kinds of wetlands. Discover how wetlands play a vital role in the environment by affecting the watershed and water cycle and providing habitat for animals as well as how wetlands affect our economy. Learn some hands-on identification of the nature surrounding you. Broomball: Broomball is a very popular winter sport similar to hockey but without all the equipment. If necessary, the instructor may do a brief lesson before the game. We encourage team work and participation. Cook-Out: Students will have the unique experience of cooking over an open fire. Participants will have the opportunity to personalize their meal from a selection of precooked food choices, packaged in tinfoil and cooked over an open fire, giving them a re-connection to the ‘pre-oven’ days. This option requires two activity periods over lunch. Cross-Country Ski Lesson: The purpose of this class is to provide students with a basic knowledge of cross-country skiing technique to enable them to competently ski our trails. Basic movements in skiing that enable the students to travel across flat terrain, up hills and down hills will be covered and practice time is included at the end. Cross-Country Ski Tour: The cross-country ski tour provides students with the opportunity to apply the skills taught during the ski lesson to Pioneer’s Adventure trails. Pioneer Camp operates trails with different levels of difficulty. The quarter-day tour combines nicely with the ski lesson as a half-day option. Guided Hike: Our instructors will make the hike as leisurely or challenging as you would like. This activity provides an excellent opportunity for your students to practice their photography, creative writing or sketching skills. Initiative Games: A small group of students is given a task to complete. The group may have to ‘untie’ themselves without letting go of each other’s hands, for example. To be successful, students must communicate, cooperate and take responsibility for themselves and each other. Quinzee Building: In this class, students will be shown the correct way to build a snow shelter or quinzee and learn about the insulating properties of snow. With the use of shovel and sticks, the group will build and use their quinzee. Students will also gain an appreciation of the work necessary to live and play in the outdoors. Snowshoe Hike: This activity begins with a brief history and introduction to the snowshoe; then students will head out for a short hike through the forest, discovering a new world of fresh snowfalls and crisp winter air. Snowshoe Survival: Snowshoe survival is a combination of a snowshoe hike and survival skills like fire and shelter building. After hiking to a suitable location, the students will help gather material to build a fire large enough to boil a pot of water for hot chocolate. Students will then have the opportunity to make their own fire. Toboggan Physics: With the use of toboggans, tubes and crazy carpets, the students will use the Tubing Hill to conduct experiments on variables affecting velocity. Predictions and conclusions are recorded in small groups and presented to the class. 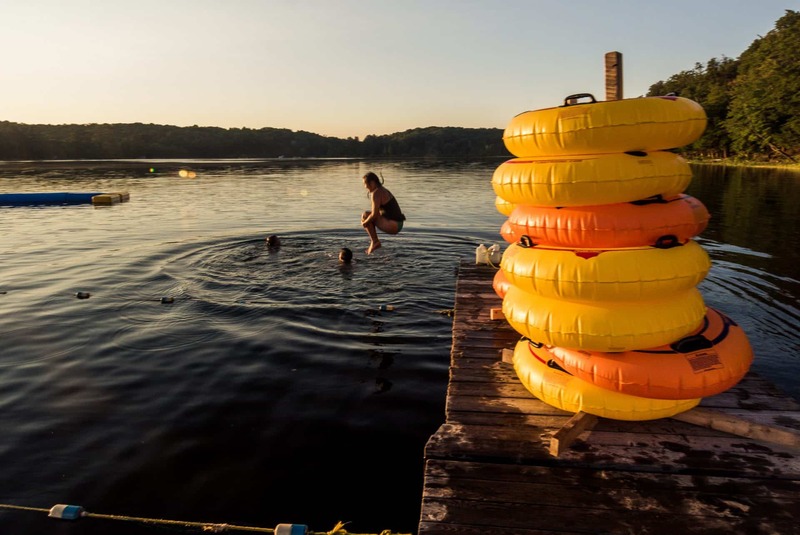 Tubing: Tubing is a fun activity for all. Students can use inner tubes, crazy carpets and toboggans on our fully-lit Tube Hill. Woodland Discovery: Trees, although they are everywhere, are often taken for granted. Through a discussion of the role trees play in the woodland environment, and what they provide for people, students may come to realize how important trees truly are. Students will become amateur dendrologists as they test their tree ID skills on our challenging ID course. Amazing Race: Modeled after the popular television show, the Pioneer Camp Amazing Race will challenge participants to race in teams against other teams in attempt to be the first to cross the finish line. Teams will need to work cooperatively to win as they complete various new and now-familiar activities. Astronomy: The night skies have long fascinated humankind. What do we see when we look into the black of the night? What star is that? Where is Mars? How did it all begin? Through simple-to-use telescopes and binoculars, students will have the ability to have some of these basic astronomical questions answered. Groups will look into the star-filled skies and will have the chance to see through time. Flame Battlers: Adapted from ‘Capture the Flag’. Under supervision, two teams will test their fire-building skills. Each team will have the chance to build a fire and attempt to survive a full water assault from the other team. Once the fire has been built, team members will have a chance to put out the other team’s fire using only cups of water. Mission Impossible: The age-old battle of staff versus campers: Will the campers be able to transmit the vital information cards across enemy lines without being caught by the staff? There will be many challenges in relaying the information. Night Hike: Wolf calls across the lake; the hoot of an owl; a peep from a spring peeper; are these sounds heard only at night? How loud is silence? Can you really see at night without a flashlight? Going for a guided walk at night at Pioneer Camp will answer these questions and more. Olympics: The world has come together to celebrate excellence in particular sporting skills ever since the first Olympic games 2500 years ago. Teams will compete against each other for the title of Gold, Silver, and Bronze in our Olympics, adapted to reflect the skills learned at Pioneer Camp. Survival Game: In the natural world, there are no grocery, super or convenience stores. Animals depend on each other to stay alive. There is a fine balance between herbivore, carnivore, and omnivore all vying for survival. Through a role playing game, participants will assume the role of an herbivore, carnivore or omnivore, and will collect ‘food’ and ‘water’ (through tagging other participants or finding food stations) in an attempt to stay ‘alive’. Ultimate Scavenger Hunt: The Ultimate Scavenger Hunt challenges teams to find articles hidden around the camp. It is a race against time and the creativity of other teams. For full activity listing, click here. Detailed information will be sent with confirmation of your group’s stay. 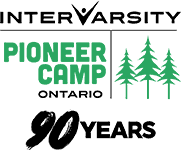 For more information or to book your Pioneer Camp experience, please contact our registrar below or call 1.800.361.CAMP(2267). 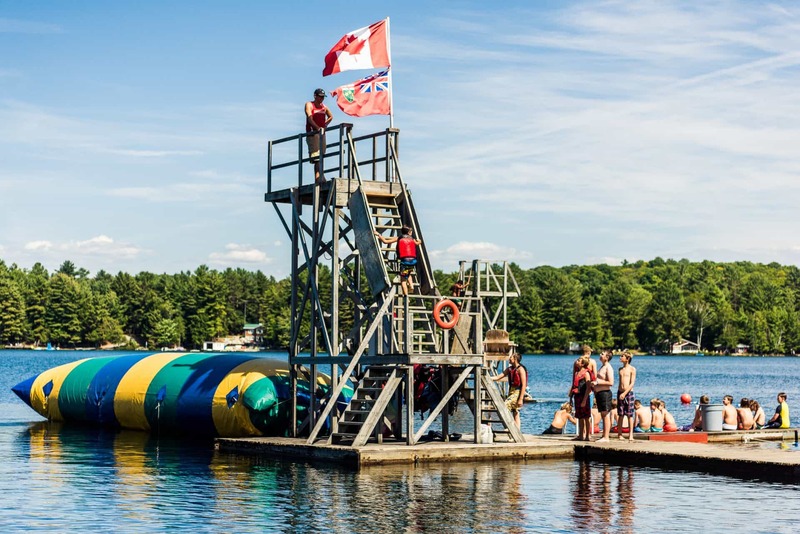 Pioneer Camp is a well established camp that offers a warm and welcoming environment for our guests with clean, comfortable accommodations, excellent food service and great, outdoor adventure! Explore all we have to offer!